PREEvision is a unique tool aligned to completely and efficiently develop the complex automotive E/E systems of the future. It offers extensive features and functions, that help designers, architects and engineers to save costs and development time while improving the overall quality of E/E systems. But there is another important part of our model-based E/E engineering tool, that makes it special: The community of users from all over the world, which has been growing steadily for almost ten years. The forum for their networking and exchange of insights and ideas is the annual PREEvision UserDay. The next PREEvision UserDay will take place March 25 to 26, 2020 in Stuttgart. The PREEvision UserWorkshops will take place March 24 and March 27, 2020. Further information will be published here regularly. Stay tuned! In spring 2019 the Mövenpick Airport Hotel Stuttgart was the place to be for PREEvision user from all over the world: More than a hundred E/E engineers and developers answered our call and gathered for an all-round overview of Vectors E/E engineering solution and joined the accompanying workshops. In March 2018, the PREEvision UserDay agenda was fully packed again – as well as the venue: Almost one hundred participants – old hands and new faces – gathered for two days in Stuttgart. Their take-aways? Valuable information for their E/E development projects, based on best cases, solution approaches, user presentations and many opportunities for networking, discussion and feedback. Thank you for being there and contributing – see you next year, PREEvision community! An important part of Vectors model-based E/E Engineering tool is the community of users and decision-makers from all over the word, which has been growing steadily for almost ten years. This is very clear on the PREEvision UserDay, which takes place annually: In March 2017, eighty participants from ten countries accepted the invitation to two days of exchange of ideas, networking, discussion, and feedback – in the Vector Campus at the headquarters in Stuttgart-Weilimdorf. Experience and Know-how Exchange at Vector's PREEvision Community Forum: What advantages does PREEvision offer in productive use? What do the most common use cases for Vector's model-based E/E engineering tool look like? What are the current challenges in the development process of electric/electronic architectures and how does PREEvision contribute to their solution? These questions and others were answered March 2016 at the PREEvision UserDay. 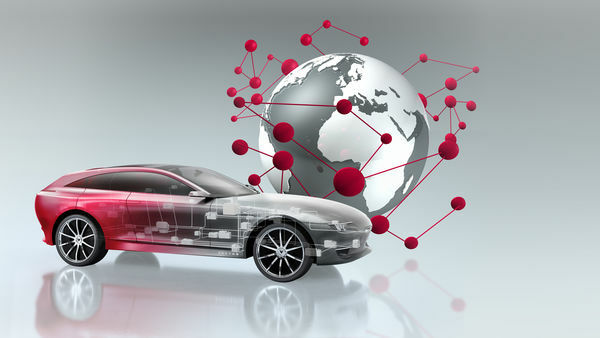 Model-based development of distributed, embedded systems in the automotive industry and related fields. An all-round overview of our E/E engineering solution and accompanying Workshops.